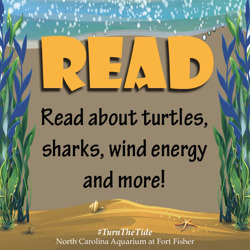 Read about sea turtles, sand tiger sharks, wind energy and more at our virtual bookshelf. Get to know a new animal every month with photos, videos and cool facts. You can help save animals in the wild by doing simple things in your own home. Read a book from our virtual bookshelf! 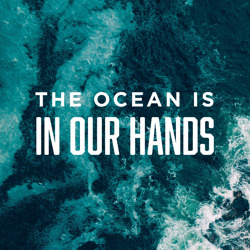 The Ocean is In Our Hands! 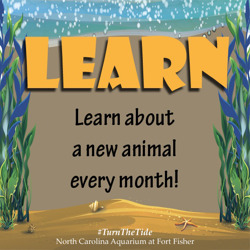 The North Carolina Aquarium at Fort Fisher is a proud partner of the Aquarium Conservation Partnership. Together 19 aquariums across the country are joining forces to address one of the gravest threats to ocean and freshwater animals and their homes— plastic pollution. As part of the partnership and through the "In Our Hands" campaign, we are taking action and sharing the importance of a national shift away from single-use plastic. The solution is In Our Hands-all our hands-reduce single-use plastic and choose alternatives instead. We're walking the walk too - replacing plastic straws with plant-based compostable straws and eliminating plasticware in our snack bar. We've added water-bottle-refilling stations at our water fountains and eliminated plastic bags in our gift shop. We will continue to examine our operations to find alternatives. The future of the ocean, lakes and rivers is In Our Hands! You can help and do your part! 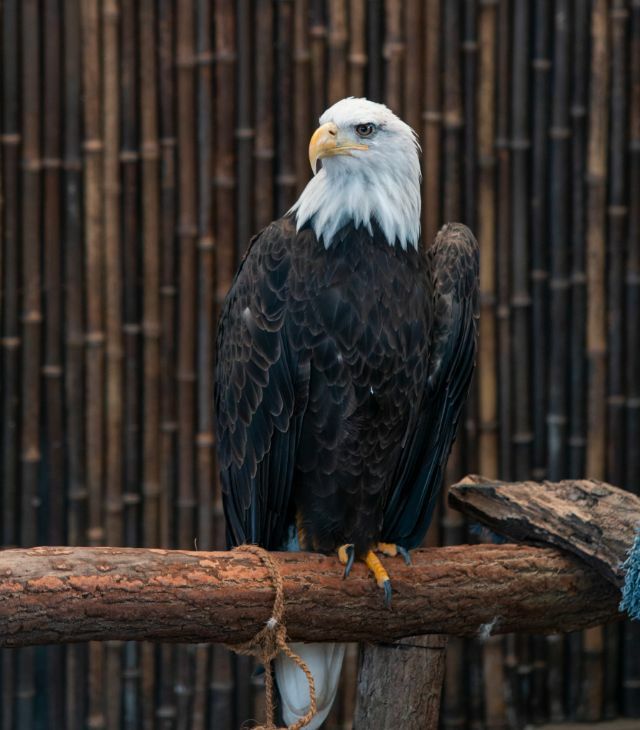 Maverick, an American bald eagle, was found injured on a roadside in 2013. 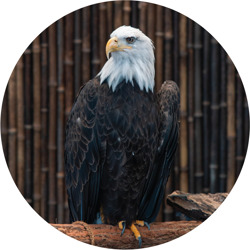 He was rescued and treated at a bird rehabilitation center. Sadly, his left wing was permanently damaged, leaving him without the ability to fly. Maverick could not survive in the wild. 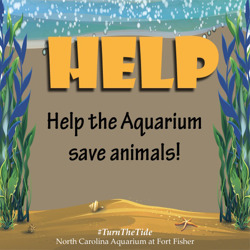 The Aquarium provides Maverick with special care and designed his living space for his needs and abilities. 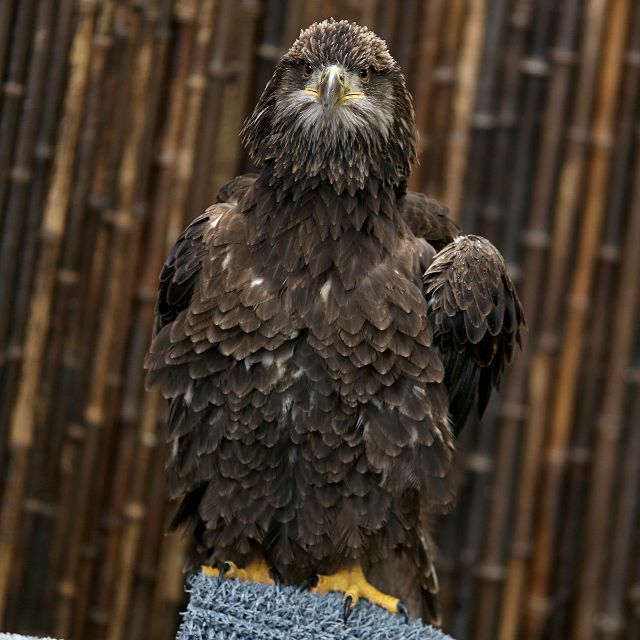 When bald eagles hatch, they have brown feathers on their heads. 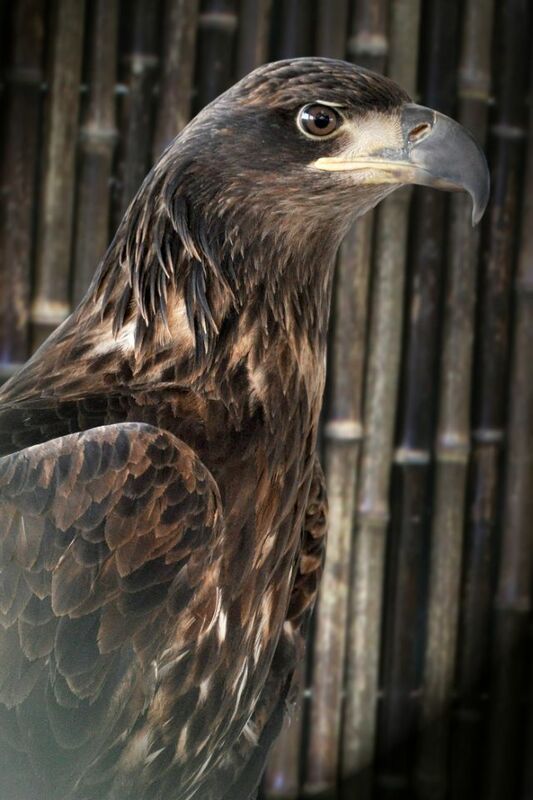 As they mature, the brown feathers are replaced with white ones, usually between 3-5 years old. Maverick is estimated to be 6 years old. 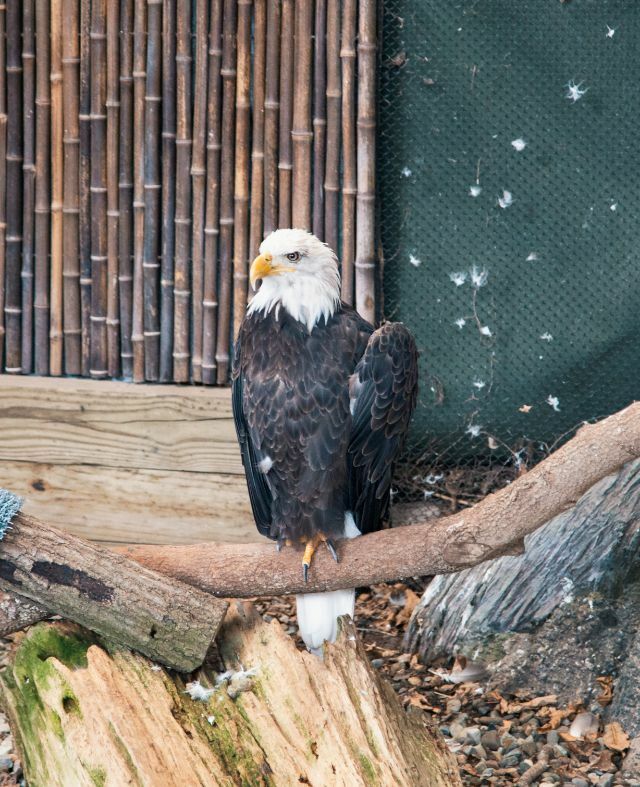 Bald eagles are a true conservation success story. 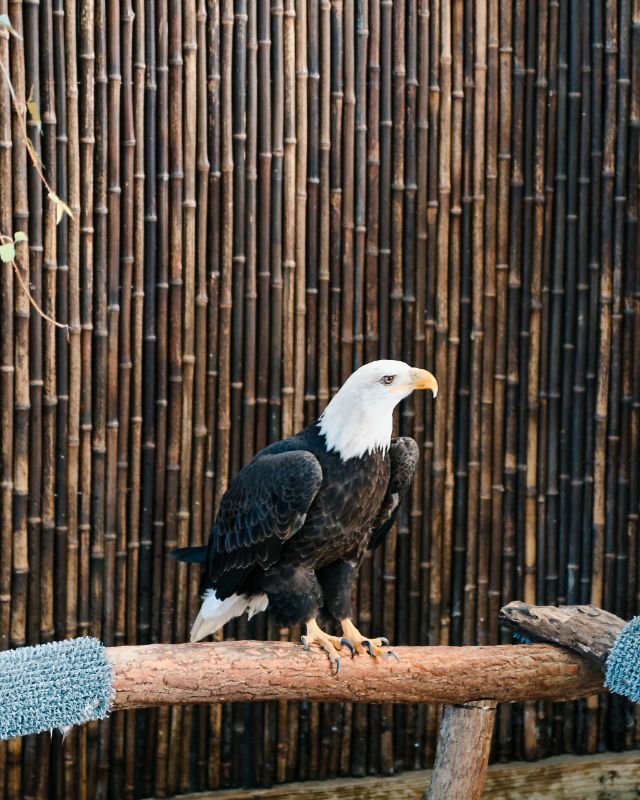 Through public awareness and protection, bald eagles were saved from extinction in the mid-20th century and were taken off the endangered species list in 2007.